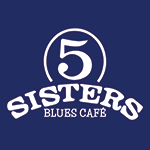 Five Sisters Blues Café will be open for our traditional Sunday Jazz brunch on Mother’s Day, May 12, from 10:00 a.m. until 4:00 p.m. 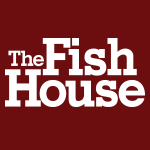 The Fish House will be open and serving Mother’s Day brunch on Sunday, May 12, from 11:00 a.m. until 3:00 p.m. with dinner service available beginning at 3:00 p.m.
Join us at the Fish House on Wednesday, May 22, 2019, and help us support Special Olympics Florida with “Tip-a-Cop.” The Pensacola Police Department officers will trade in their handcuffs for the day to spend both lunch and dinner serving you. One hundred percent of the tips you donate to the officers will benefit Special Olympics Florida, which provides sports training and competition for individuals with intellectual disabilities. The “Tip-a-Cop” program is one of many in which law enforcement personnel organize a variety of community events to raise funds and awareness of needs. Five Sisters Blues Café will be open for our traditional Sunday Jazz Brunch on Easter Sunday, April 21, from 10:30 a.m. until 4:00 p.m. The six-person package is $65 plus tax. Orders are being taken now and can be placed until noon on Thursday, April 18. Pickups will be available Saturday, April 20, 3:00 p.m. until 6:00 p.m. The meal will be fully cooked and will include reheating directions. Please note: there will be no substitutions. Additional sides can be ordered and are listed on our full Grab and Go menu. The six-person package is $65 plus tax. Orders are being taken now and can be placed until noon on Thursday, June 13. Pickups will be available Saturday, June 15, 3:00 p.m. until 6:00 p.m. The meal will be fully cooked and will include reheating directions. Please note: there will be no substitutions. Additional sides can be ordered and are listed on our full Grab and Go menu. The Fish House will be open and serving Easter brunch and dinner on Sunday, April 21. 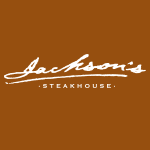 Brunch hours are 11:00 a.m. until 3:00 p.m. with dinner service beginning at 3:00 p.m.